Kris' Story; The Key to success! The new and improved Kris above! Kris has been my client since last November. She started just before the holidays. What a time to start in with a personal trainer! She was determined to lose weight, and decided to give me a call after coming across my business card. We met, she paid the money, and now, there was no turning back! 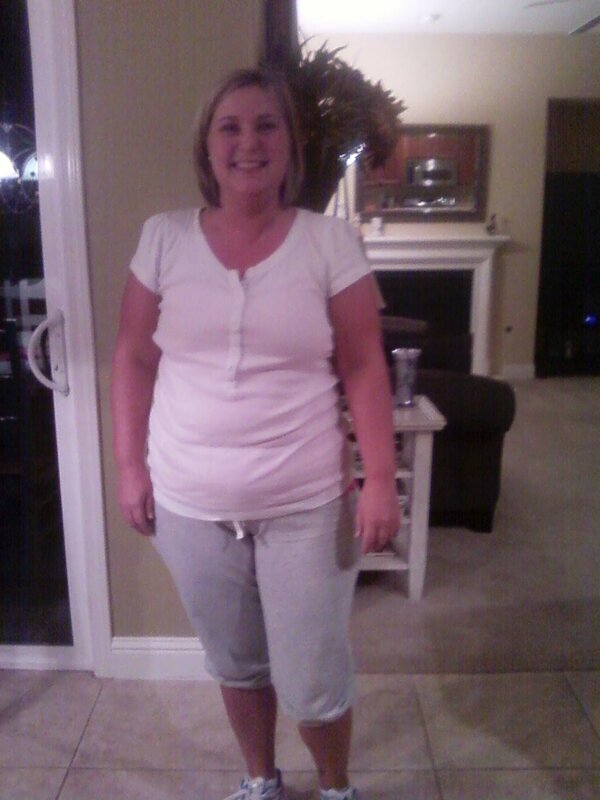 She tried Nutrisystems, calorie counting, and even lost 20 lbs on her own. The problem was, it did not stay off, and she didn't feel that she looked, or felt, as good as she does now. So far she has lost approximately 35 lbs (and counting) even with the muscle gain! The difference now? Muscular, cardio development and an overall balance of proper nutrition, and a well rounded work-out routine. AND, last but not least, a desire to achieve specific goals! Kris did have a weight loss goal, but in addition to that, she wanted to be able to feel good when taking a picture; go on vacation, and not have to diet before going on vacation, but instead, enjoy her vacations in a healthy and fit body. I found out what her goals were, set up a plan to get there, and made sure she knew that canceling was not an option. In other words, she had to make this one of her first priorities. And that meant not just working out when she was with me, but doing it on her own, and using my website to help with nutrition ideas. When we first started there were quite a few obstacles for Kris, but nothing more than what most of my clients experience. For instance, many clients experience nausea when they reach their physical threshold. In the beginning, she experienced this right away during our plyometrics portion of the workout. NOW? It is rare for her to experience nausea during a workout! And believe me, I push her hard! Another example was her running ability. One of her goals was to become a better runner (she was a good runner before she had children several years ago). She could not even run a mile without stopping. NOW? She can run 10 miles! And, her best time (so far) 8:16 mile! - She is now a good runner, and hill climber. She actually increases her speed on the hills (and working on becoming a phenomenal runner for a 41 year old)! What makes Kris a great client for me? As a trainer, it can be almost as discouraging for us as it is for the client when they don't succeed. It is pretty obvious personal training is not one of the highest paid industries, and most trainers are doing it because they really want to help people (at least the good ones). Usually because we ourselves have experienced some type of life changing event that was the result of physical fitness improvement. So when our clients actually apply our methods and succeed, it can be almost as gratifying to us as it is to our clients. We are working toward the same goal. -Once Kris wrote the check she said to herself, "I am not going to just throw this money away, I am going to use it to my best advantage!" -She set up an appointed time 3x per week, and stuck to it. I can count on one hand how many times she has had to miss an appointment, and usually she lets me know days or even weeks in advance if she is going to have to miss. -She does not let a "plateau" get her down. Sure, she feels bad when she does not make a set target or goal when she wants to, but she gets over it, and we work on ways to get her through the inevitable plateau. Patience and steadfast determination is the key! -She gave herself enough time to do it in a healthy and safe way to avoid overdoing it too soon, or risk getting injured, and as a result, have to quit. I thank Kris for letting me share her story as I truly believe it can help others who face the same challenges Kris has faced. You may contact Kris @kris399@yahoo.com. Or, post a comment below, and I will make sure Kris reads it.